Each applicant surgeon has served as the primary surgeon for at least 200 breast surgery procedures in their lifetime and performs at least 100 procedures annually. Multidisciplinary team meetings should be held monthly (unless determined otherwise by volume consideration) to ensure that decisions related to breast surgery are addressed in a comprehensive manner. The applicant facility must have an intensive care unit and a full complement of consultative services required for the routine and intensive care of breast surgery patients and their potential complications. 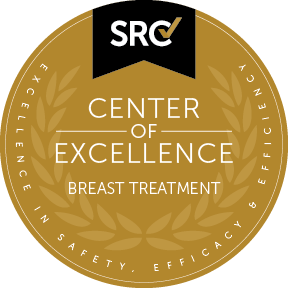 The applicant facility provides ongoing, regularly scheduled staff in-service education to ensure applicable staff have a basic understanding of breast treatment and the appropriate management of the breast surgery patient. The applicant provides organized and supervised support groups for all patients who may undergo or have undergone breast treatment.